Today, MoAA is proud to present Vanessa Barger! Vanessa Barger: The best thing about writing? Tough question. I think it’s being able to escape into my own head, and bring out those characters and share them with everyone else. The ability to create something that I enjoy and share it with others. VB: The ending. I always start writing with…shhh, don’t tell…very little idea of how it will end. This is okay, as long as I eventually figure it out. Sometimes, though, I get halfway through and still have no idea… Finding time is also difficult, as I am a teacher for my “real job” and a writer all the rest of the time. Sometimes writing requires burning the candle at both ends. Someday, I’d love to do writing as a career and teaching for fun! VB: A box of…oh, wait. Sorry. Writing is like baking. You put in all the ingredients, stir, and then let it cook until it’s finished. Then you dish it out to your friends and see what the results are. VB: London or the highlands of Scotland. In a room with a view. In London – an apartment overlooking the Tower. In Scotland, a cottage with beautiful gardens and a view without other people. VB: Ghosts. Mystery. Discovery. Love. Horror. VB: Eccentric. Nerd. Book-lover. Quiet. Observant. VB: I was the quiet, overachieving nerd. I was definitely NOT in the cool crowd. The first two years that bothered me. The last two I was too busy to care. Lol. VB: Keep writing. Don’t give up. Even when you think you can’t make it, don’t stop. When you stop, that’s when you’ve failed. Don’t write for other people. Write because you want to. Normal things like get married, have kids, etc. Take a month-long trip to the UK and see all the out of the way things that are on my list. 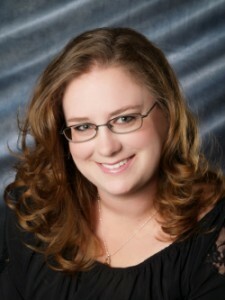 Vanessa Barger is a middle grade and young adult author, represented by Jennifer Mishler of Literary Counsel. She teaches high school technology education in rural Virginia and is the slave to one cat, Molly. She spends all her free time writing. She’s a member of the SCBWI (Society of Children’s Book Writers and Illustrators) and the Virginia Writer’s Club. When not writing, she’s reading, and an avid movie fan. She also loves long walks on the beach discussing Shakespeare while sipping large fruity drinks with little umbrellas. A WHISPERED DARKNESS is a YA Horror, that will be released from Month9Books in Sept 2014. It’s about a girl who has to save her family from a vengeful ghost and possession, while trying to stay alive. This entry was written by Lesley Fairy and posted on July 25, 2013 at 7:00 am and filed under Interview. Bookmark the permalink. Follow any comments here with the RSS feed for this post.